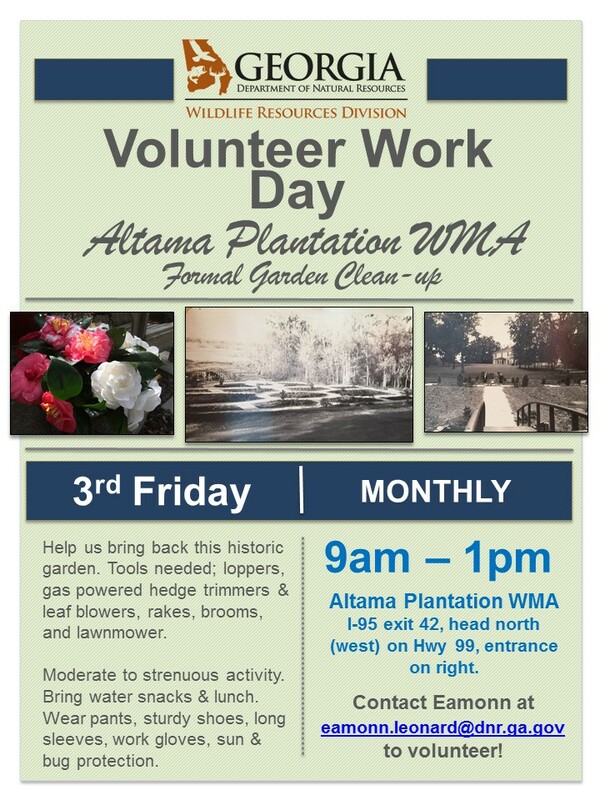 This Friday there is an opportunity to volunteer at the Altama Planation WMA. See flyer attached. We will conduct these every third Friday of the month. Where: Altama Plantation WMA in Glynn County exit 42 Hwy 99 north. What: Mostly cutting grass in an around the formal garden, string trimmers, lawnmowers, rakes needed. Wear: Long sleeves, hat, long pants, sturdy shoes, water and snacks you might need. Let me know if you can volunteer or have questions.